A bid by one of Calgary's richest men to expand his million-dollar view of the city is being met with opposition from neighbours. 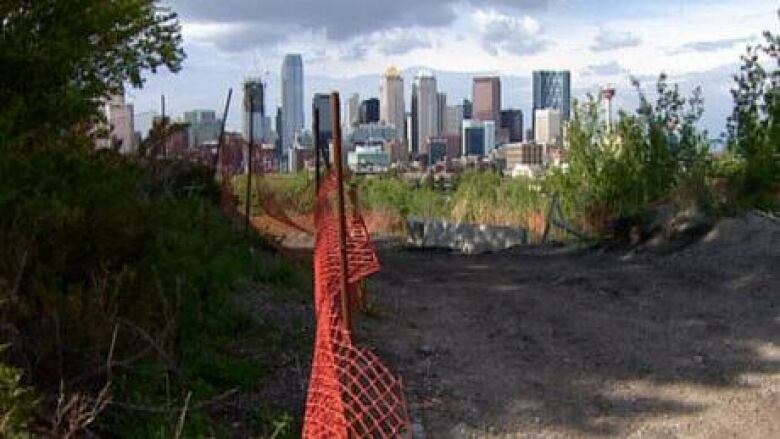 A bid by one of Calgary’s richest men to expand his million-dollar view of the city is being met with opposition from neighbours. Philanthropist Don Taylor wants to buy 3,700 square feet of city-owned land at the top of Hillcrest Avenue S.W. in Mount Royal and consolidate it with his existing property overlooking the downtown core. But some members of the Mount Royal and Cliff Bungalow community associations say it should remain public land. "It's an absolutely spectacular view," said area resident Darlene Bruce. Taylor thought he owned the land in question, which had a basketball pad on it, when he bought the home 20 years ago, said his spokeswoman Christine Chateau. "When the slope adjacent to the property began to fail, the city surveyed all the lands adjacent to the failing slope. It was at that time Mr. Taylor was made aware that his basketball pad was on city property. With the failure of the slope Mr. Taylor and his neighbors invested a significant amount of money to maintain their properties and protect the hillside from further collapse," she wrote. If Taylor buys the property, it would remain zoned as parkland and would be landscaped and used as a buffer to the adjacent park, she added. According to Ward 8 Ald. John Mar, it isn’t exactly clear where the property lines are. "My understanding is that the survey lot lines are out by as much as 20 feet all the way down the hill," he said. "So we've asked our city staff to investigate, look into this issue to determine where the property lines are." Taylor’s spokesman said he hopes to meet with neighbours to try to put some of their concerns to rest. Donations from the family have made many projects possible in the city, including $25 million to build the Taylor Family Digital Library at the University of Calgary, the recently announced $40-million endowment to create the Taylor Institute for Teaching and Learning at the school, and $20 million for a new concert hall at Mount Royal University.